Contribute to Studio 2880 Needs Your Help! 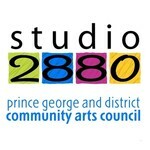 Community Arts Council of Prince George & District requests some further information. Community Arts Council of Prince George & District issues a tax receipts to individuals and organizations. Community Arts Council of Prince George & District is managing the funds for this campaign. Community Arts Council of Prince George & District is a verified organization. ©2016 Prince George & District Community Arts Council.